The Mac is doing just fine in a horrible market. 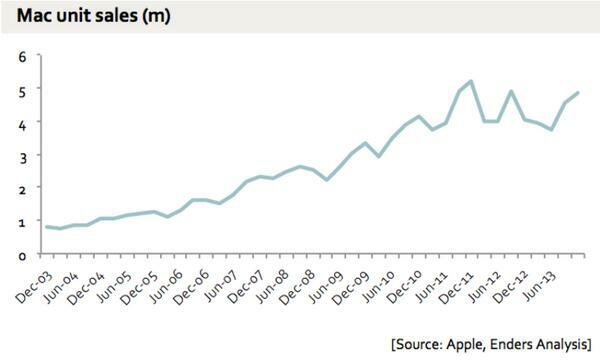 Which is funny because Apple helped make the PC market horrible by creating the tablet market. Microsoft, of course, helped make the PC market horrible by creating Windows 8. According to Peter Oppenheimer on today’s conference call, Macs have now gained global market share for 30 of the past 31 quarters. « Good quarter, Apple doomed.